Over the past several years, The Weather Channel has expanded its programming options to present reality shows that demonstrate the awesome power of Mother Nature. One such show is called Highway Thru Hell, which chronicles how a commercial towing company handles the vehicle crashes caused by the slick road conditions present in Canadian mountain passes. What is interesting about the show is how seemingly countless 18-wheeler’s find their way into deep, snow covered ravines. The more alarming fact about truck accidents is that many of the crashes result in severe injuries and unfortunately, an alarming number of fatalities. Millions of delivery trucks ranging from the trucks owned by UPS to the BP monsters hauling fuel cross the United States have to meet extremely tight delivery deadlines. The rush to get to a destination on time places both truck drivers and operators of other types of vehicles at a high risk of truck accidents. In fact, the prevalence of truck accidents has prompted many trucking companies to assemble an in house team of attorneys to counteract the legal actions taken by personal injury lawyers. With Chicago as one of the major commercial transportation hubs and destinations in the United States, it is not surprising to learn Illinois ranks high in the number of accidents involving commercial trucks. In 2014, which is the latest year for which statistics were released, the Illinois Department of Transportation made public a report that listed the following statistics. Semi trailer trucks were responsible for more than 11,000 accidents, which accounted for more than 10% of all fatal vehicle crashes. Ninety-five people lost their lives because of truck accidents, leaving 1,902 motorists and pedestrians injured. The Illinois truck accident statistics released in 2014 confirmed a trend that should make the owners of other types of vehicles think twice about passing a big rig or even saddling up to the side of an 18-wheeler. The Federal Motor Carrier Safety Administration (FMCSA) has reviewed more than 120,000 accidents involving at least one truck and the federal agency has come up with one compelling statistic. Driver negligence causes about 87% of all truck accidents. What are some of the reasons causing truck driver negligence? The FMCSA discovered 10% of truck crashes involved some type of vehicle defect and the remaining three percent of truck accidents were directly related to poor road conditions. Another reason plays a role in truck accidents that occur in greater Chicagoland. Six federally sanctioned interstates cross through the heart of The Windy City. Whether you commute every day on the Kennedy Expressway or leave for a weekend in the country by taking Interstate 55, chances are you will encounter numerous commercial trucks on the road. According to the FMCSA, four types of truck accidents encompass more than half of all crashes involving a semi and at least one other vehicle. Several different scenarios can cause rollover accidents. Rollovers can happen because a truck driver tries to avoid contact with another vehicle or hit another vehicle and then the truck ends up on its side or worse, rolling over more than one time. Driving too fast for the conditions and not applying enough brake pressure on steep inclines cause the majority of truck rollover accidents. When truck’s axel brakes suddenly lock, the trailer can skid for dozens of yards, depending on the speed of the vehicle. The trailer can stop only if the driver angles the trailer to be 90 degrees with the cab. During the time a truck jackknifes, the driver loses complete control of the truck and typically a rollover unfolds. As one of the most dangerous types of truck accidents, an under ride appears similar to a rear end collision. However, an under ride collision involves a smaller vehicle hitting the back of a truck at the point where the smaller vehicle makes impact at the top of the vehicle. The reason for the dangerous nature of an under ride is the possibility of the driver of the smaller vehicle receiving life threatening head injuries. Trucks carry considerable weight, which makes stopping the vehicle difficult to perform over short distances. The most common type of truck accidents can be either the fault of the truck driver or the driver of the other vehicle for not maintaining the proper distance for applying the brakes. Trucks weighing 8,000 pounds and moving at 60 miles per hour need 426 feet to stop. Weighing several tons and applying incredible force at high speeds, semi tractor trailers and even the smaller trucks driven by delivery companies can cause significant injuries. Many of the following injuries requires months, if not years of physical therapy to overcome. If you suffer from one or more injuries caused by a truck accident, you should work with a highly rated team of personal injury lawyers to ensure you receive the monetary damages you deserve for long term physical and emotional harm. A majority of truck accidents in Illinois take place on the roads and highways covering the Chicago metro area. Each of the personal injury lawyers at our firm has amassed years of experience representing clients that have undergone the ordeal of a life changing truck crash. 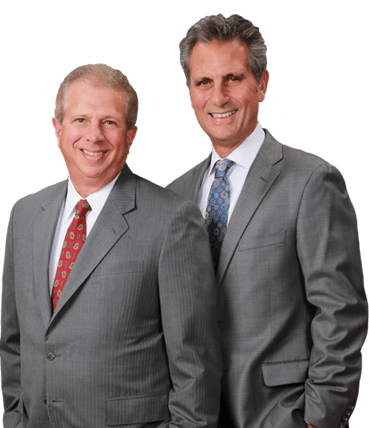 As legal experts that often prosecute truck accidents causing personal injuries and fatalities, our team of attorneys understands how to get to the bottom of a personal injury case. We thoroughly investigate every truck crash incident to determine liability. Our strategy typically involves establishing whether a truck driver violated one or more state and federal regulations. When our team of accomplished personal injury attorneys files a lawsuit against a trucking company, we have to present evidence that proves the truck driver in question caused an accident. Referred to as negligence, the key to helping you seek justice for the physical pain and emotional duress caused by a truck accident involves proving reckless conduct by the driver and/or trucking company. Many of our clients feel acute anxiety after dealing with truck accidents. However, you cannot afford to wait for the stress to diminish. You should contact one of the accomplished personal injury lawyers at our law firm to seek swift justice for the negligence that caused the truck crash. Call our office at 217-367-6092 or complete the convenient online form today to schedule a free initial consultation. Who is responsible for paying medical bills after a traffic accident?